Have you checked your calendars? Just 17 days til Halloween! And rather than focus on the fact I have loads to do, ( I have almost nothing even started...must get in gear!) lets focus on happier topics. How about another great but simple Halloween project? Bethany of Emmy Lu kindly volunteered to share how she put together this clever yet impactful Halloween centerpiece. For those that don't know Bethany, she has a lovely country cottage that makes me want to pack up my city digs and move right in. Go check it out for yourself.  First off, thank you to Mrs. Limestone for welcoming me to the blog! I'm here to share a fun and easy, DIY centerpiece project that I promise that will add some spooky flair to your Halloween decor. Let's start with the supplies. 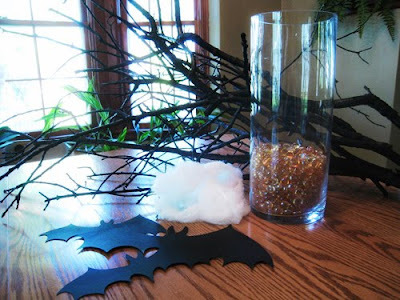 Gather a tall glass cylinder vase, some orange marbles, black spray paint, branches, fake spider webbing, and these bat silhouettes from Martha Stewart Crafts (at Michael's). If you can't find the bat cutouts, you can always make your own out of a heavy black card stock. 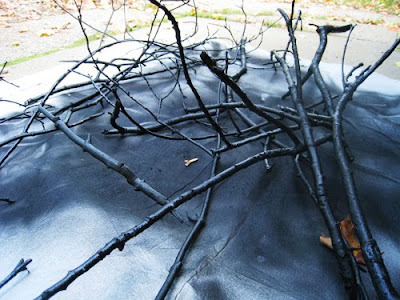 The first step is to spray paint all of the branches black. Use a flat paint, and give them a thick, even coat all the way around. Next, fill the vase with the marbles. Consider putting a small flashlight or a small fake votive in the marbles to give them an eerie glow. 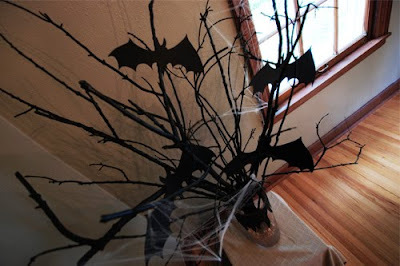 Arranges the branches in a pleasing manner, and make sure to allow space to add the bats and webbing. 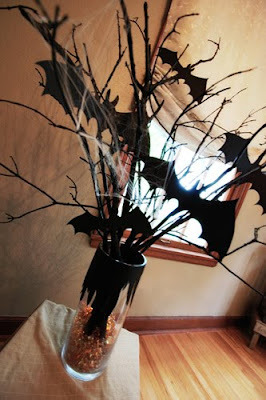 Finally, use a few different sizes of bats, and tuck them into the branches so that it appears that they are flying up out of the vase. I used double stick tape to make sure that they stayed just where I wanted them. For an extra element, I wrapped the vase with this creepy trim that was included with the bat silhouettes. 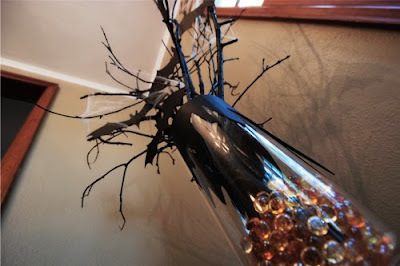 The final result is a dark and spooky centerpiece, perfect for a Halloween party! Love it. So easy to do and makes a big statement. Thank you so much Bethany! Want to see more from her? Stay tuned because Bethany has another Halloween idea to share. If you can't wait that long to hear from her again, take a pop over to her place. so great! I love bats this year, and what an easy idea. Thanks for sharing it. Wow, it look amazing! And so easy! Easy and so spooky! Love this! adorable - er... scary! i'd bet it would be awesome dipped in black glitter as well. The idea of the fake votive under the marbles is a keeper for me. The centerpiece is adorable. I love this idea because it's such an inexpensive project. I hate spending a lot of money on Halloween or fall decorations because they are not out for very long but this is excellent!